Chiltern street is all about glamour and glitter, fashion and fame. Hang around for more than five minutes outside A-list hotspot the Chiltern Firehouse and you’ll see so many famous people that you’ll think you’re in Hollywood. You aren’t, you’re actually stood at the intersection of the hectic hell of Oxford Street, the hectic hell of Baker Street and the hectic hell of Edgware Road. Really, it’s a miracle that Chiltern Street is as cool, calm and pretty as it is. The prettiness comes from some gorgeous Victorian gothic architecture, which is some of the finest in this city. 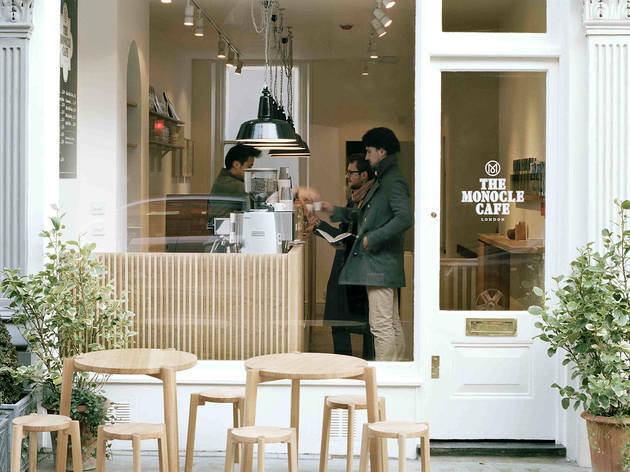 But the real appeal of the street lies in its independent shops, bars and cafés. Men are particularly well catered for in the shopping department, while any bride-to-be would be happy here too, with more white frocks than a Miss Havisham convention (these definitely do exist). It’s not just dapper style and posh dresses, though: nestled among the chichi terraced boutiques for the well-heeled is a traditional hardware store and even a woodwind specialist. There’s art here too, and great eating and drinking. When so many of the capital’s high streets are blighted with uninspiring chainstores, Chiltern Street, with its independent spirit, is somewhere, if not to yell about, then at least to celebrate in a terribly civilised way. Painstakingly constructed cocktails round the corner at Purl, a swanky cellar bar which does a lovely line in liquid-nitrogen-based drinks. A decent pint at The Bok Bar, a South African drinking den with plenty of live sport and Thai food. A lovely bottle of plonk at brasserie Hardy’s, which has outside seating so you can pretend you’re in France. A few drams at Cadenhead’s, a brilliantly boozy old-school whisky shop that also runs tasting sessions in the basement. 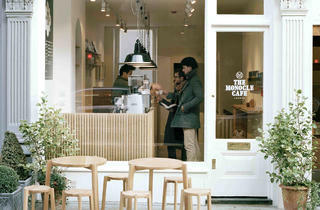 Breakfast at The Monocle Café, which serves up exciting Japanese and Swedish-inspired brekkies. Yummy, authentically skinny-based pizzas at Blandford’s, a cute family-run café. Scandinavian cinnamon buns and other teeth-achingly sweet treats at the Marylebone outpost of Nordic Bakery. Check out some twentieth-century photography at Atlas Gallery, which puts on around six exhibitions a year. Then head down the road to The Wallace Collection, one of London’s top museums, and home to old-master paintings and a ton of armour. Sharp sunnies and sleek swimwear at Prism, the beautiful gallery-style flagship store of this super-cool minimalist brand. Vintage Americana at John Simons, an institution for men’s fashion in London, where you can find perfect examples of brilliant basics like Harrington jackets, chinos and button-down shirts. Prezzies from concept store Mouki Mou, which houses a well-curated stock of smellies, accessories and homeware. Sitars, dhols, tanpuris and other instruments you can only imagine how to play at Jas Musicals. Happily, this family-run business offers regular classes and workshops, and the occasional recital, too. Go for brunch at ever-delicious and exclusive celeb-magnet Chiltern Firehouse. Dinner books up months ahead, so see what all the fuss is about in your own sweet time. It’s worth it. By Miriam Bouteba, who wants to do more than just window shop. Fancy a change of scene? Here are 13 reasons to go to Chamberlayne Road in Kensal Rise, NW10.